This breaking story was covered by the CBS8 news. Gulf Coast Tractor has generously donated a front loader in support of our Create a Community Campaign. Solid Rock Community School is very proud of Montrell Patrick. 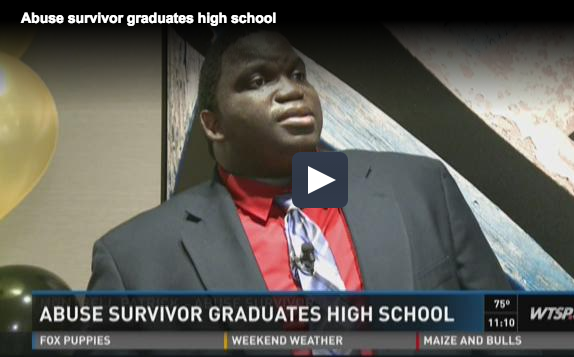 Montrell graduated from SRCS and WTSP covered the story. Please encourage your family and friends to watch this uplifting story. Our students get to enjoy a wide variety of educational experiences. 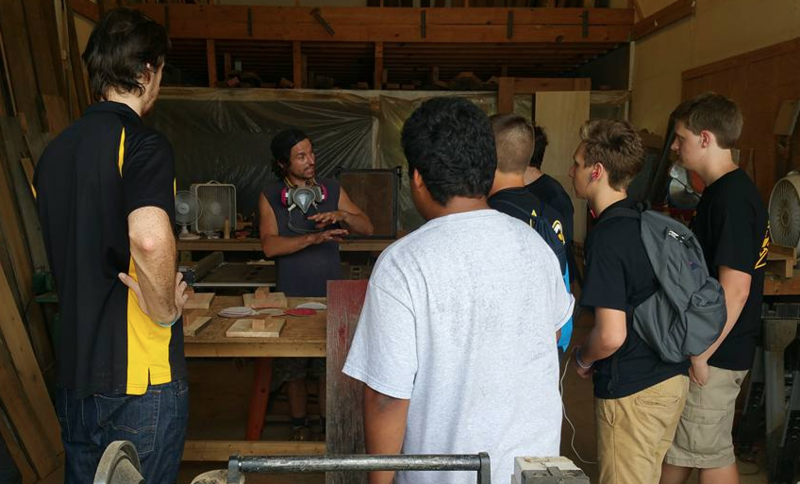 Recently one of our carpentry classes got to learn how to build tables from reclaimed wood. Words cannot express the grief SRCS feels with the loss of Nicholas Azzue. 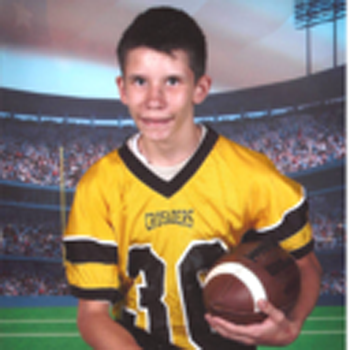 There is an athletic scholarship fund set-up in his honor and we encourage you to read more about it. Our students are amazing and active in the community. 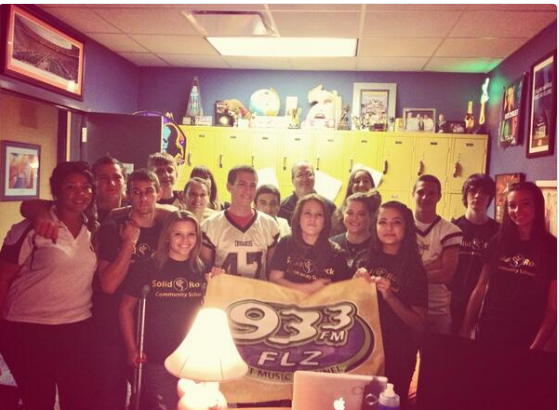 We recently visited with 93.3 FLZ radio and learned how the radio business works (and had a blast!). Our Crusaders football team pull off an upset (78 to 58) win in the FCAPPS State Football playoffs. 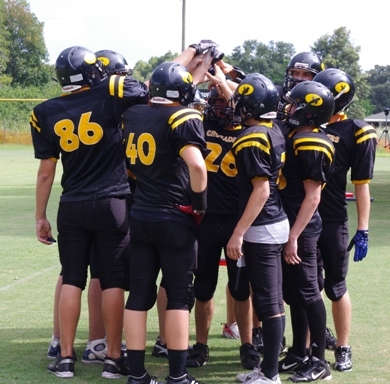 Solid Rock had a 7-4 2014 season and will advance to State semifinals.